Literarily For Keeps (2018) by Sarah Monzon is such a GREAT novella. This book currently comes in eBook form, and is 108 pages in length. With a full-time job and a precocious six-year old at home, this book took me one sitting to read. I received a copy of this novel in eBook form from the author. In no way has this influenced my opinion of the story. All opinions expressed in this review are my own. I give Literarily For Keeps 5 STARS. This book is a Contemporary Christian Romance. Literarily For Keeps is such a GOOOOOOOOOD novella! This story had me laughing so hard in some places that tears were streaming down my face. I absolutely adore Ashleigh’s character — she could be my literary soul sister. I very much appreciate how intelligent and independent she is. And I LOVE how she views her world through the lens of every great classic novel she’s ever read. It was so much fun for me to know and understand all of her literary references; it felt like Ashleigh and I speak the same language! 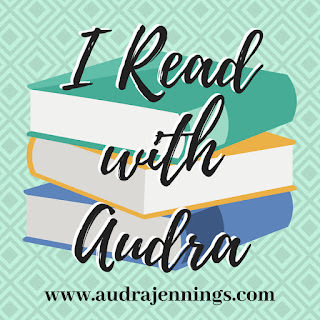 Literarily For Keeps is a super fun read that I will make sure to keep in my re-read pile so I can enjoy this charming story again and again. One idea that really resonated with me is the concept of moving out of our comfort zones for the sake of others. At one point in the novella, Ashleigh ruminates, “Isn’t feeling a little discomfort good sometimes? We need to be shaken up by humanity’s plight, or soon we’ll all be sitting in sterile white boxes focused too much on ourselves and not enough on others.” Well said Ashleigh!!! I couldn’t agree more. It is good, especially in our day and age of instant gratification, social media blasts, and the selfie, for us to be discomforted for a moment to realize that we are NOT the center of the universe. It is easy to get caught up in the busyness of our lives, but we have to be careful we don’t become myopic to the needs of others. This blindness to others is the exact opposite of what Jesus teaches in Matthew 25: 31-46. In this passage of Scripture, Jesus proclaims that when we feed the poor, clothe the naked, give drink to the thirsty, befriend the stranger, and visit the downtrodden in prison, we are actually doing these things to Him, too. When we do these good things not only are we making our Heavenly Father proud, but we are also ensuring that this world is a better place because of our selflessness. This is definitely a reminder I needed! I adore Literarily For Keeps and cannot recommend this book enough. The plot — fake a marriage for 5 days — is tremendously engaging, so much so I tore through this story in one sitting! The characters are wonderful and so realistic. And, the romance between Ashleigh and Landon is wonderful and satisfying. 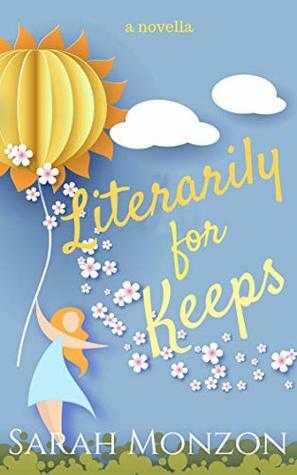 If you are looking for a fast-paced, sweet, and hilarious read then Literarily For Keeps is definitely the book for you. I recently finished devouring this book myself, and I absolutely loved it! I delayed reading your review because I needed to read the book first. Not because I was worried about spoilers, but just wanted to write my review and then read yours next!! You captured the essence of the story so well in your review! Sarah Monzon sure packed in a lot of fantastic information in this lovely story! I love it!! I’m so glad you loved it too! I knew you would, Trisha!! !